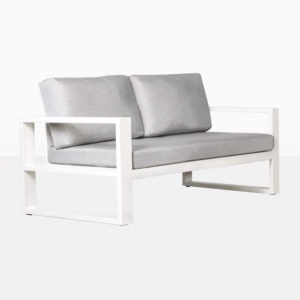 Simple, stylish, splendid… What more could you ask for in outdoor furniture? 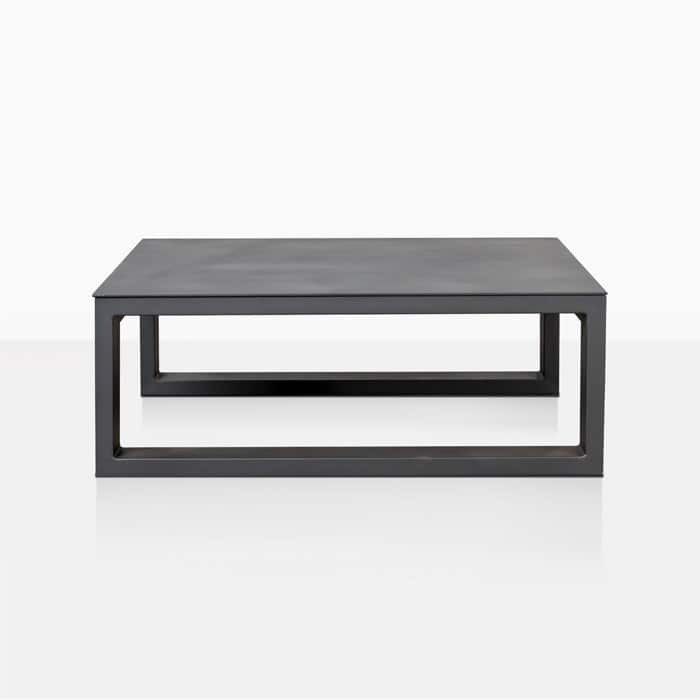 We are pleased to introduce the Mykonos Square Coffee Table in Charcoal, a key piece in the dramatic Mykonos Collection. 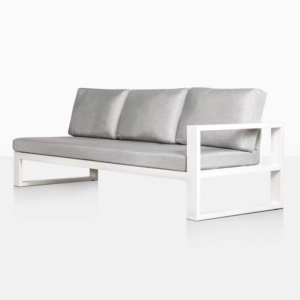 Mykonos is all about high end, top quality, and contemporary luxury. We know you’ll be thrilled with the range and versatility of this extraordinary, unique furniture collection. 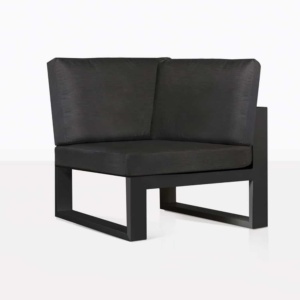 The Mykonos Square Table is made entirely from the most attractive charcoal powdered aluminium, with a huge square tabletop and lovely low legs that wrap all the way around in the waterfall style. 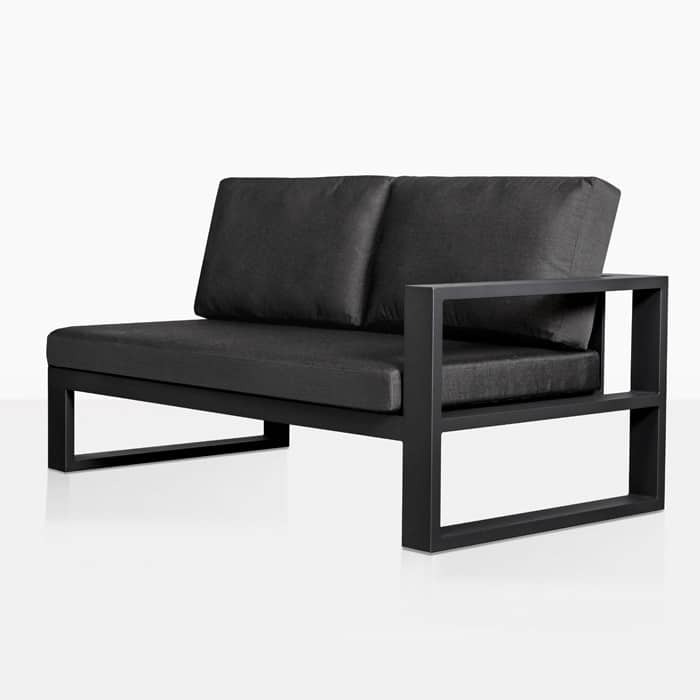 Its simplicity is what makes it so suitable for any occasion and any space. 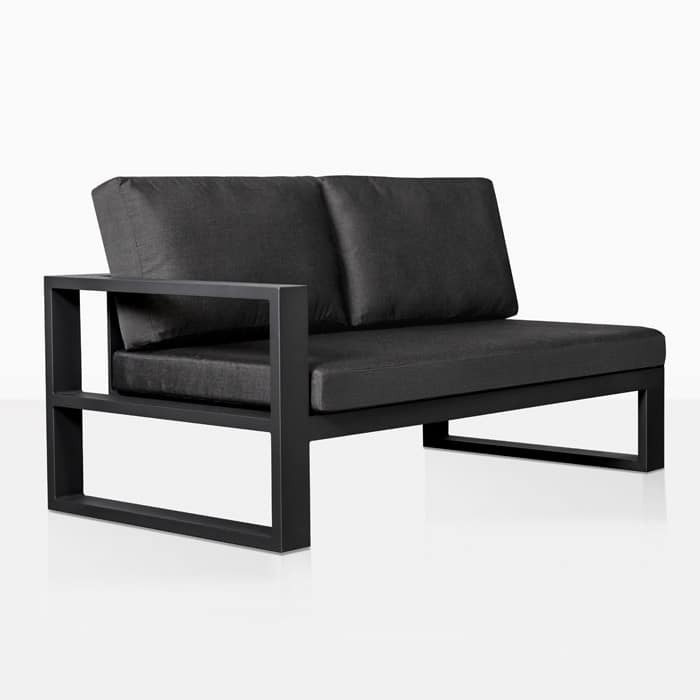 Every piece in the Mykonos Outdoor Collection is built on a lavish, bold frame. 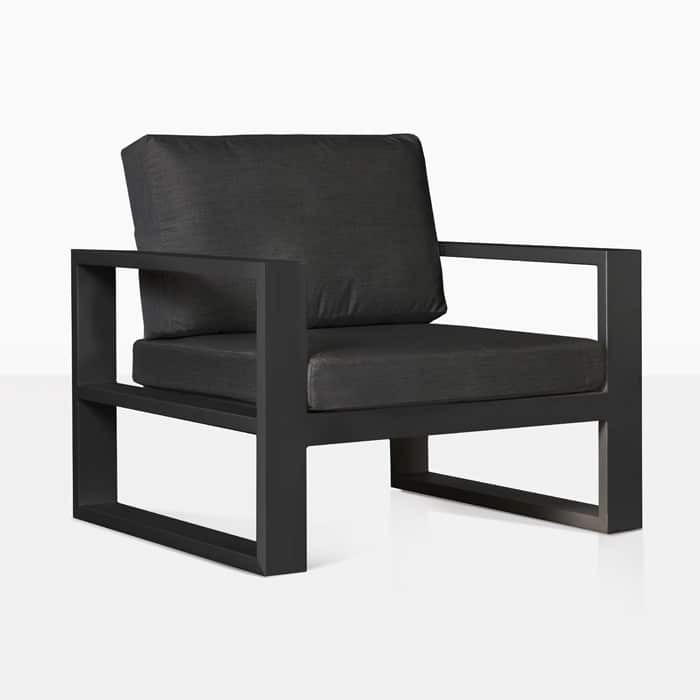 Robust and strong, the classic style with the modern materials is a sight to behold. 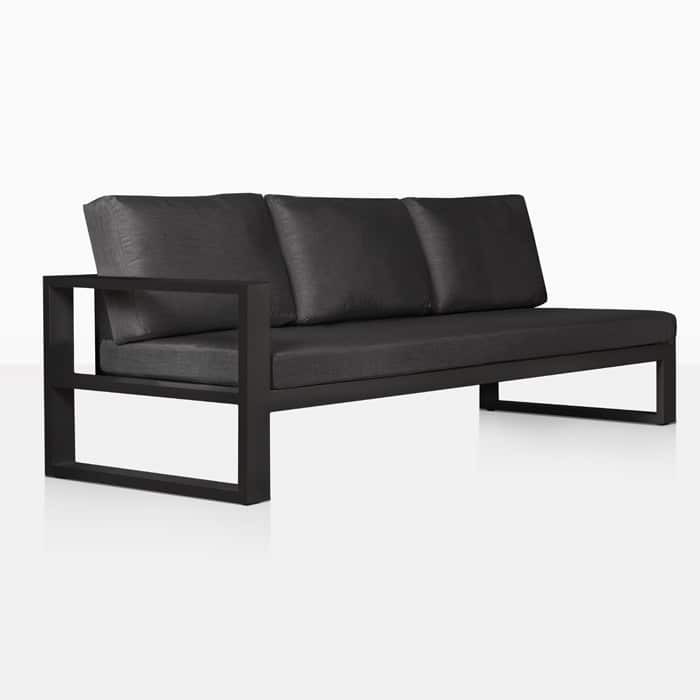 From the Sectionals to the fixed patio seating collection to the wonderful 4 outside tables we have on offer, we know Mykonos has something for everyone. 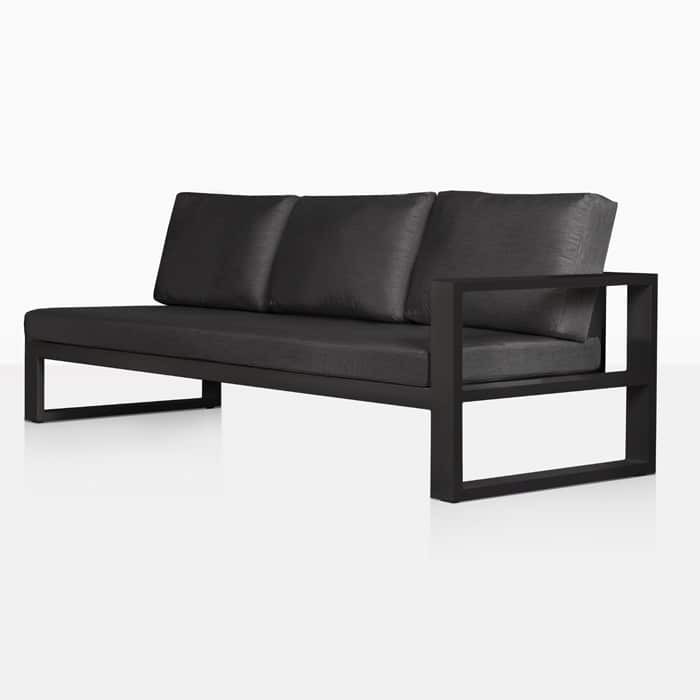 Place the Mykonos Square Outdoor Coffee Table in the centre of your Mykonos Collection. 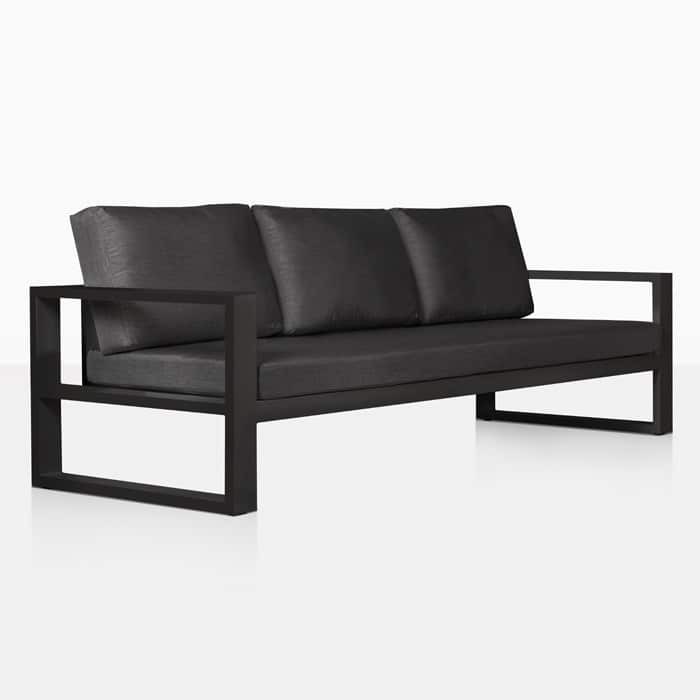 Perhaps you’ve got a huge space with a couple of 3 Seater Mykonos Sofas and a few Club Chairs for good measure. 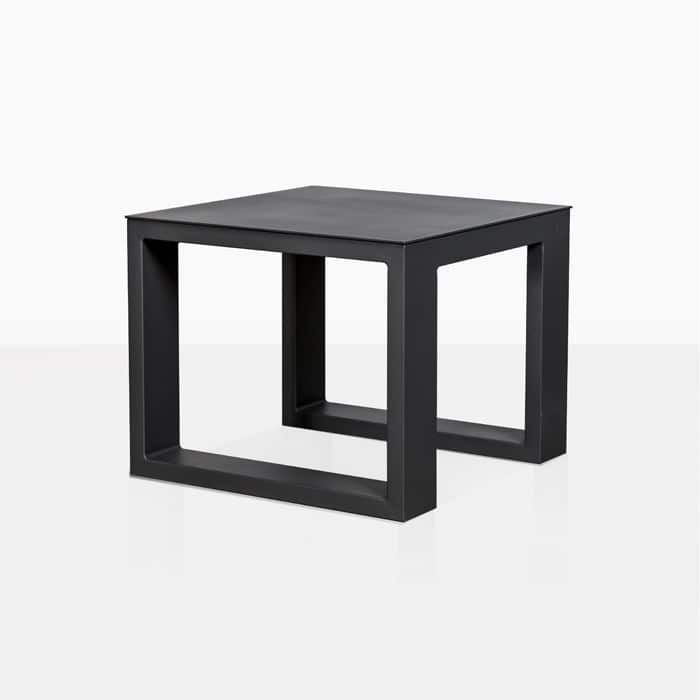 Turn this gorgeous bold square table into a fabulous rectangle shape by placing two side by side. 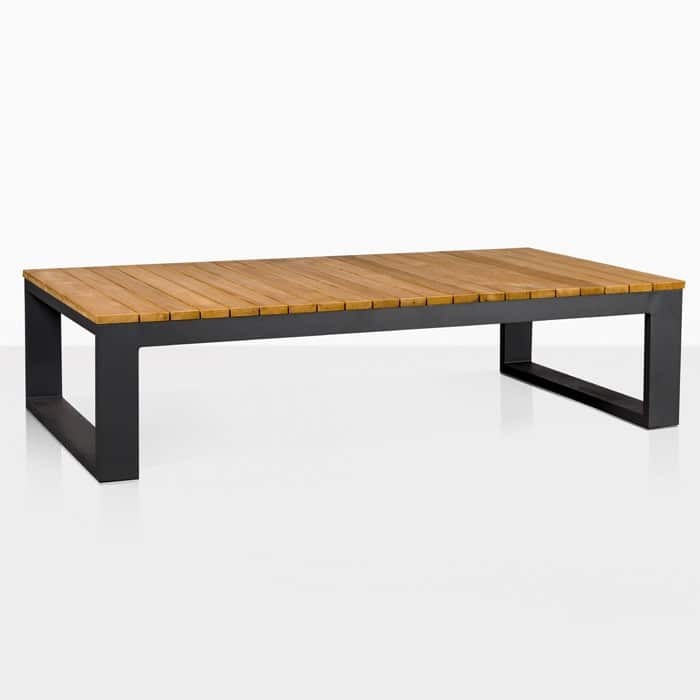 This incredible Mykonos Outdoor Table is an ideal choice for indoors as well. 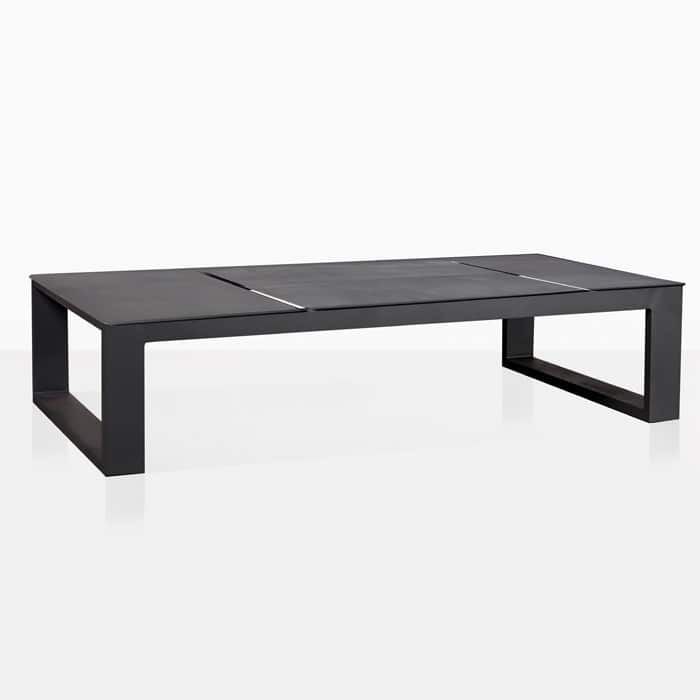 Situate this splendid Coffee Table in your home or office for a sophisticated touch and a great introduction of upmarket, contemporary materials. 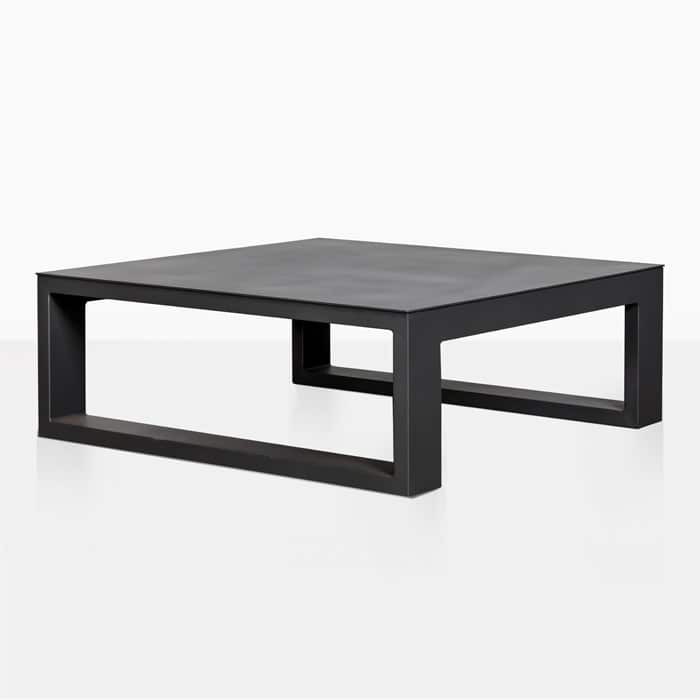 Our Mykonos Square Coffee Table is just waiting for you to pick up the phone! Secure yours today!